Modern at its most comfortable! Deep, plush boxed seating featuring overscaled track arms and high tapered wooden feet. 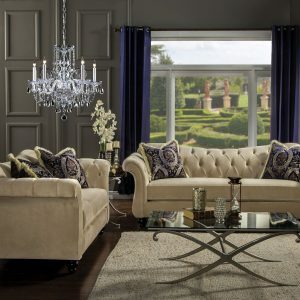 Matching chaise has a high drama chaise-inspired silhouette. 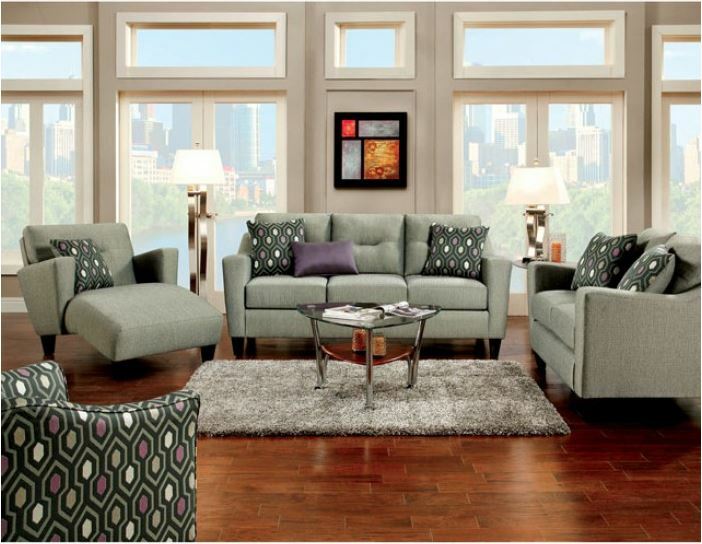 A sculptural modern sofa and love seat set has a very stately profile that looks good from all angles.